Anthony John Group’s $600m Southpoint development in Brisbane's South Bank has recorded a strong start to 2016 with over $20m in sales recorded in four months. A positive indicator that the top end of the property market remains buoyant, the average sales price during this period was $1,400,000, with highest price paid $2,450,000. Only seven of the 413 apartments in Southpoint remain, a premium selection of three and four bedroom residences from $1,310,000 at an average size of 253square metres. Anthony John Group Chief Executive Officer Shane Bulloch attributes the recent influx of buyers to the quality and scarcity of offering. “This is the last piece of land to be developed in South Bank – the opportunity to buy brand new product in Queensland’s premier lifestyle precinct is running out – something the market is acting on”. Mr Bulloch said a large number of buyers have been local downsizers, used to privacy and space but now not wanting the maintenance that goes with large homes. Catering to this, owners in the Emporium Residences and Emporium Apartments will be afforded the unique opportunity to access the services and facilities of the new flagship Emporium Hotel at Southpoint, such as personal chef, spa treatments, maid and room services, valet and more. 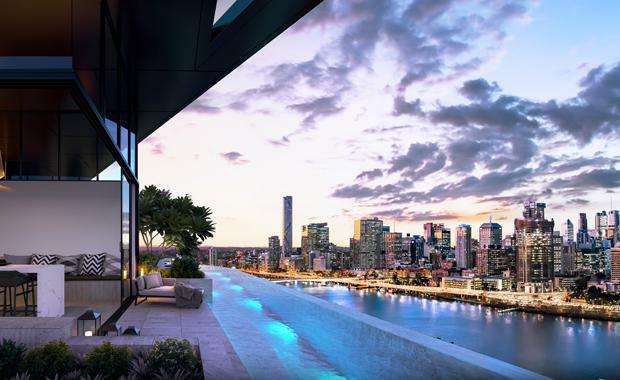 As a pioneer in luxury boutique hotel development in Brisbane, Anthony John Group Founder and Managing Director Tony John said that owners are set to experience something completely unique.